A Pakistani television journalist has been shot and killed by motorcycle gunmen in a tribal region in the country’s northwest that has been hit by a wave of attacks on members of the media. Unidentified gunmen killed Hafeez Ur Rehman of Neo TV Nov. 22 near his home in the town of Kohat in the province of Khyber Pakhtunkhwa, formerly known as North-West Frontier Province, news outlets including Iran’s Press TV said. The motive for the killing of Rehman, 42, remains unclear. No groups or individual have claimed responsibility yet. Rehman, who covered the region for Neo TV and previously edited his own newspaper, had not reported any threats made against him, Agence France-Presse reported. He is the second journalist to be killed in Pakistan this month and the third to be killed since September. A local reporter, Zaman Mehsud, was shot five times in the same region Nov. 3. A Taliban commander later told Reuters his group was responsible for Mehsud’s death because of his “writing against us.” The commander also told the news agency the group had other journalists on its hit list in the region. In September, a satellite technician for Pakistan’s Geo News and a former reporter for the network were killed in separate incidents in Karachi, and a third journalist was wounded in a shooting attack in Peshawar, the capital of Khyber Pakhtunkhwa. At least 71 Pakistani media workers and journalists have been killed while practicing their profession in Pakistan since 2001 , according to a report Nov. 1 report released by the Pakistan Press Foundation. 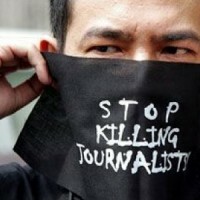 Of the 71 killed, the deaths of 47 journalists were directly related to their work, according to the report. Only two of the cases have resulted in criminal convictions.